Kinsheran was established in 1967 and has been breeding quality pedigree dogs for over 45 years. 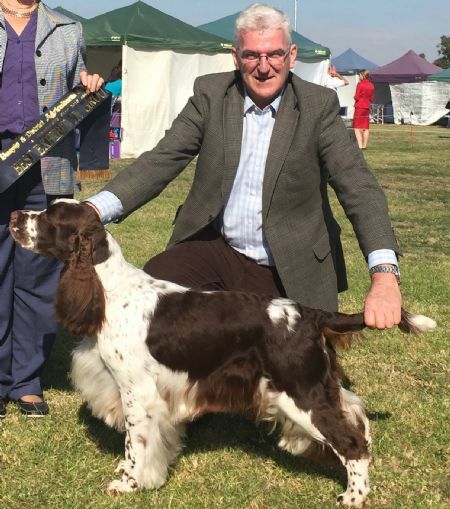 The kennel has been focused solely on English Springer Spaniels since 1981, breeding an enviable list of Springer superstars, including multi Best in Show, Royal, Speciality, and Group winners. Our home bred stars include among others: Aus Supreme Ch Kinsheran Darcy Dulton, Aus Supreme Ch Kinsheran Kilimanjaro, and the famous Aus Grand Ch Kinsheran Rich Pickings. Currently we are campaigning Aus Ch Kinsheran Ferrando.